A new era of technology is transforming the customer service landscape, and today’s small businesses are challenged to keep pace with the changing times. With more and more channels becoming available for customer communication, many small business owners naturally start questioning themselves which of these channels would be the best fit for their customer support needs. With limited resources, they often have to choose just a few that would be most cost-efficient for business and convenient for both the customers and service team. Live Chat has proven itself as a highly effective communication method that allows delivering customer support in real time. Statistics show that Live Chat is especially well-suited to answering simple queries and pricing/product questions customers might have while shopping online. This communication channel is also reported to significantly reduce customer service expenses, as the cost of a single Live Chat interaction is one of the lowest compared to other customer support channels. And last but not the least, customer support agents absolutely love it. What Makes Live Chat So Compelling? I can tell you for sure. Quite a while ago I worked as a customer service agent at a start-up company where Live Chat was barely attended. We’ve got so many emails that it was quite a chore to trudge through all of them, and only after that, according to the internal company policy, we should log into the Live Chat software to address “other” requests. As the business has grown, so have the customer service problems. We’ve ended up receiving more emails than we could process though we were constantly adding new team members. I wish I could tell you that eventually we’ve found a magic bullet, but, as a matter of fact, that was not the case. I quit because of extreme burnout. 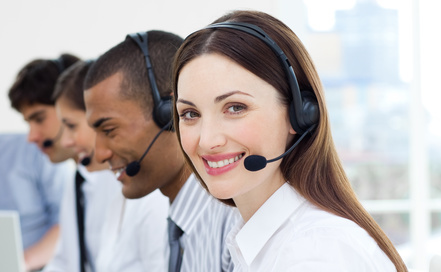 And then I joined Provide Support customer service team where we have Live Chat as a primary communication channel. Well, it was not the only difference between the two companies, so I won’t attribute all the goodies to the primary customer communication method. But for sure, that was when I became a real fan of Live Chat software. Actually, everyone working in our team is absolutely enthusiastic and passionate about it. Of course, I can easily tell you what makes it so special for me. But I also did some research, asking my colleagues to name their favorite Live Chat features too. Some of the answers surprised me a bit as I realized that too many useful things I just take for granted and don’t notice (though use them constantly). Today I would like to share with our blog readers the top list of our favorite Live Chat features. You are welcome to share it with anyone who you think may also enjoy it. And if you believe there’s any helpful feature missing, please let us know your thoughts through a comment below. Olga Bodnar: One of my favorite features is Real-Time Visitor Monitoring as it provides you with so many helpful clues virtually at a glance. And if you ask me to narrow this down, let the Referrer be my winner. Checking the URL and keywords used by a visitor to get to our website can tell you a lot about the visitor’s needs or expectations. Tanya Laskin: I really like the feature that lets me connect visitors’ details with custom user information available through our website. By passing that to the Operator Console, we can avoid asking customers for the information we already have in our database, save time and deliver more personalized customer service. Helen Yarkin: For me, it’s the file-transfer feature. In case there are any compatibility issues or other errors that result in incorrect display of website pages on visitor’s end, I can always ask the visitor to take a snapshot of what they can see and share it with me instantly. Irene Rogers: I definitely think the most helpful are system tray notifications. If a visitor in chat needs some time to play around with the settings or look through some information, I can be on hold and switch to other tasks in the meantime. The tray notifications make multitasking much easier for me. Julia Lewis: Instant messaging is incredibly handy. By breaking your messages into smaller chunks you can skip all the irrelevant information on the fly and effortlessly personalize customer service experience, and obviously, you can barely achieve such a great FCR rate through email communication. Mary Babich: For me, it’s definitely the spellchecker. This is indeed a very useful feature saving me proofreading time and making my responses so clear and prompt. I can see instantly, as I type, if I make a typo and correct it on the spot. Alexa Longman: I guess, the Visitors tab of the console comes in really handy. And my favorite tiny one is that the information about the visitor I am chatting with is automatically highlighted in green on the tab, so I don’t need to look up the details I need. It’s a great time saver. Olivia Brown: Has anyone mentioned Canned Responses? Of course, you should use them wisely but when it comes to responses to common questions like phone numbers, directions, URLs, emails and other general information, they can greatly save your time. Talia Bush: I always check the Room Details tab as soon as a visitor joins chat. The information I can find there gives me a better understanding of the whole picture. And the most useful piece of it for me is the “Called from” entry as I can see the link to the page where the visitor called for help. Maria Lebed: I would also mention two indispensable options – you can invite other members of your team to join an ongoing chat conversation and, when needed, start chat with a colleague internally while being on chat with a customer. In the first case, the conversation is simply being continued with no need for the customer to go through the whole story again. In the second, the customer might not even notice that you get in touch with someone else for advice or help. The other day, I came across a quote by Vala Afshar, the CMO of Extreme Network: “Customer experience is a collection of memories. What you want to do to build a remarkable company is to hire and keep memorable people, train them, give them the best tools, and then empower them to delight”. Being clearly and intelligibly formulated, it’s striking for me that while it goes about creating memorable experience for customers, it still refers to the importance of focusing on employees and their needs. Giving your employees the right tools is an important part of letting them love their job and enjoy what they do. If you cope well, they are destined to serve the customers in the best possible way and create compelling experiences. By sharing this post we hope to inspire business owners to take good care of their customer service reps and let them serve their customers better. All in all, happy people naturally give great customer service. Make it happen. This entry was posted in Articles, Tips and Tricks and tagged Live Chat features, live chat software. Bookmark the permalink. Hi again Julia. Hope your 2016 is off to a great start. Another great read (as usual). We just implemented live chat on a client website this month. We’re in that type of business where trust is a huge factor (Doctor). I’m amazed by all the different features it came with. You can track the movement through the website, which I absolutely love. You can save conversation scripts. And much more, but the features I was surprised and as I did my research, I found a lot of them to have those types of features. Which I’m reporting on the conversion side of live chat, but for customer service as well. Absolutely. So it’s a benefit for each department, as well as using live chat for multiple purposes. Only a few admin questions to date, but only a week under our belt. But for business owners looking to improve both areas, I can see live chat as a feasible option. Is there any that you personally recommend? Hello Richard. I am so glad to hear from you again. Hope 2016 brings your business lots of great opportunities and success! And of course it’s great to hear you are exploring the features of Live Chat software:) I would really recommend your customer support agents spare a few moments to look through the Visitors tab of the console as soon as they start a new chat. Information available there lets them know so much about the person calling for help in almost no time and definitely helps a lot to personalize the conversation. I have to admit that it took me some time to turn this into a habit, but it really changed my approach to handling chat conversations and helped me communicate more efficiently. Great read, definitely agree, especially that live chat is essential these days. Although it probably doesn’t apply to every industry, most websites would miss out on potential connections to customers without having the module enabled. Thanks for writing!